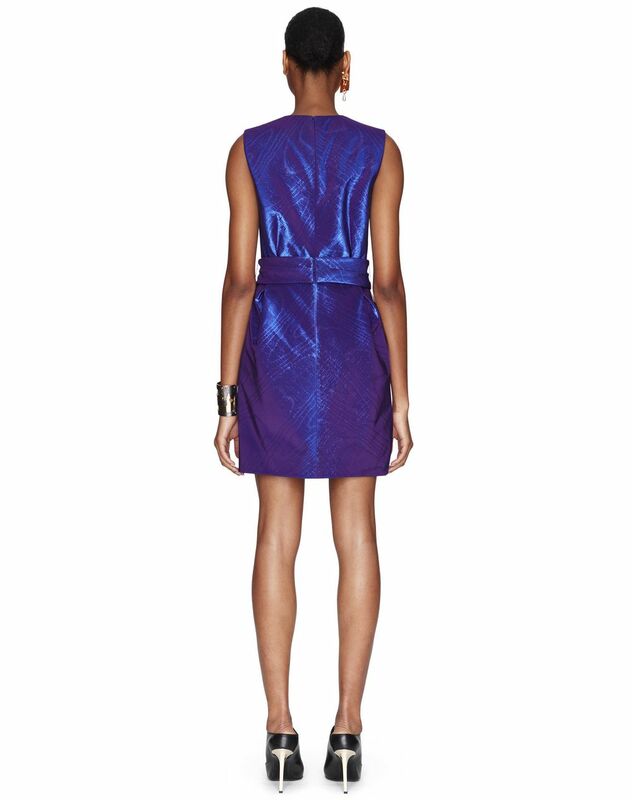 Short dress in iridescent amethyst faille, short sleeves, round neckline, cinched waist, removable belt detail, side pockets and invisible zip fastening on the back. 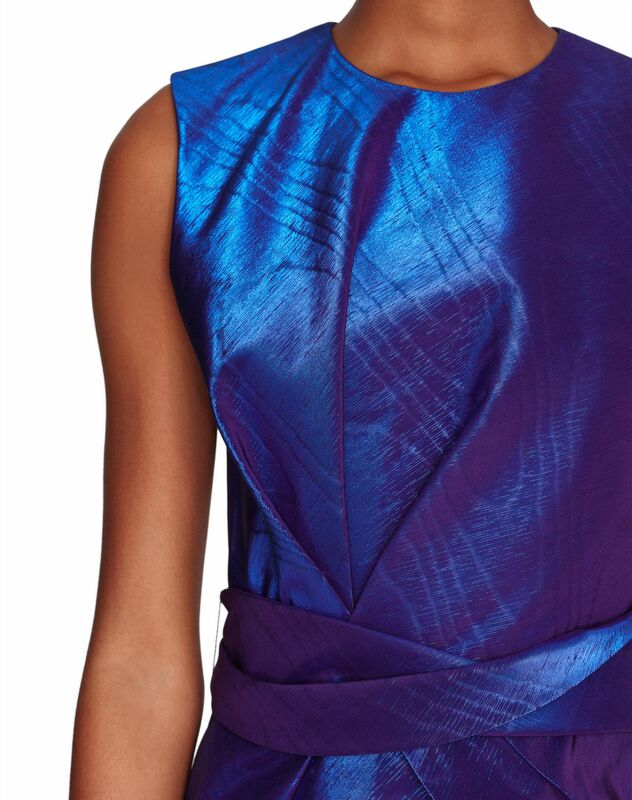 Inspired by the “Peacock” motif, a symbol of extreme beauty, this dress comes in a gorgeous amethyst colour. 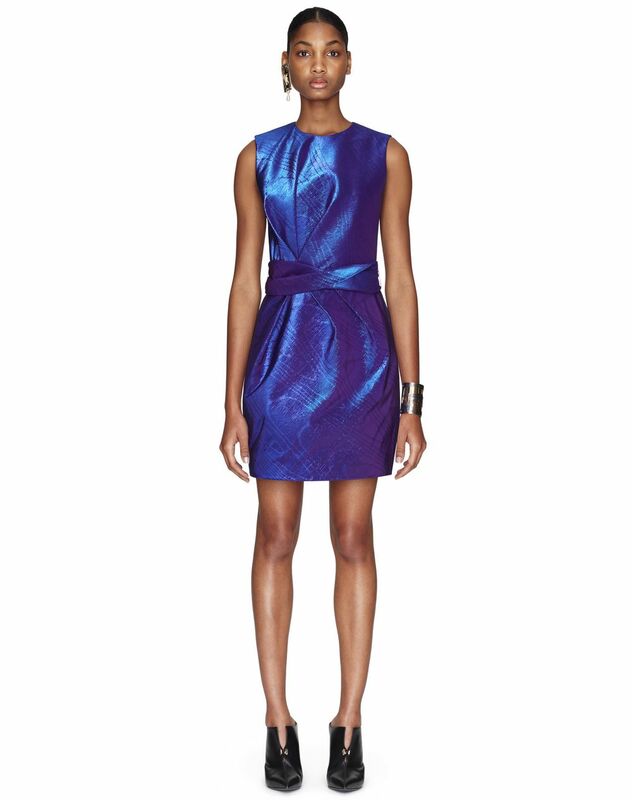 The hypnotic iridescent faille provides this piece with unique character and a stunning interplay of light. 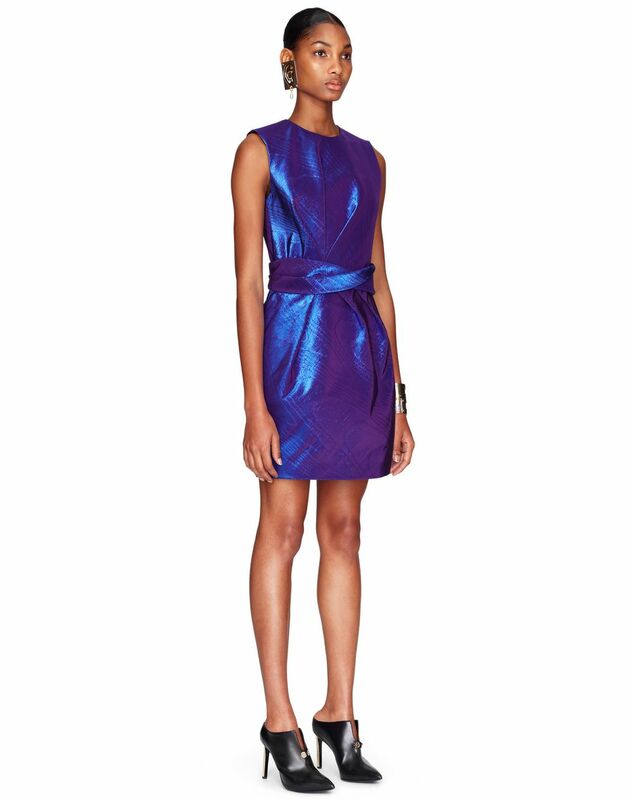 This dress can also be worn with a belt to highlight the waist for a delicate and sophisticated look. Main materials: 68% cotton weave, 27% silk weave, 5% metal fibre weave. Model's measurements: Height: 179 cm Bust: 72 cm Waist: 57 cm Hips: 87 cm Model wears a size 8. Made in France.